This post is applicable to readers who have got anything to do with Indian rupees. 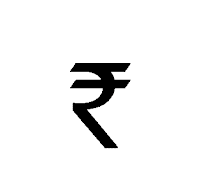 Indian Rupee has got a new symbol. 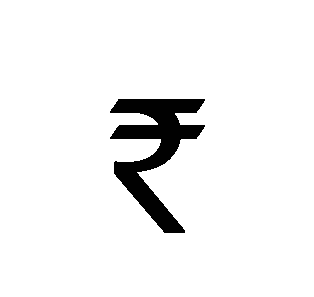 What earlier was denoted just as Rupees or Rs. or INR is now denoted by a new symbol. This change happened two months back. People have already started using it. You can see it in advertisements and posters all around you. It is time you got the symbol too and started using it in your presentations (and excel sheets and word docs). You need to download the font file and paste it in the Fonts folder of windows. This is how we do it. 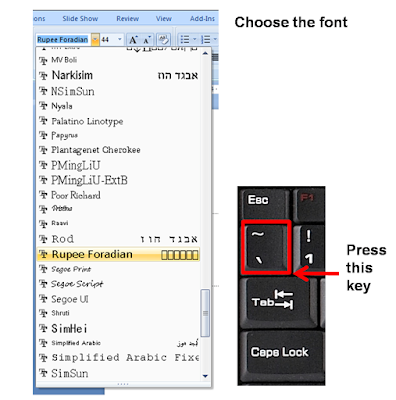 Download the font by clicking on the link above -> The font name is Rupee Foradian -> Cut the font file (Ctrl+X) from the folder where you have downloaded the font -> Go to Start -> Settings -> Control Panel -> Fonts -> Paste (Ctrl+V) the font file in the fonts folder -> Done! 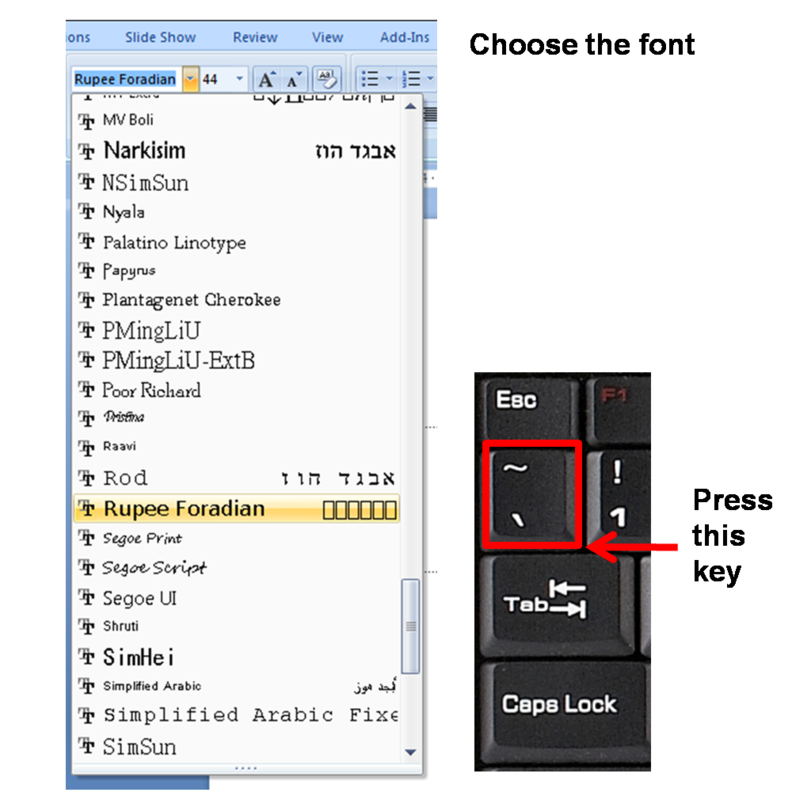 Now open MS PowerPoint -> Choose the font 'Rupee Foradian' -> Click inside a text box and press ` (the key left of 1 and above Tab). Bingo! There is your rupee symbol.